The Sewer district, created by Town Meeting in 1985, is comprised of Groton Center and the subdivision known as Partridgeberry Woods, added in 1989. In 1996, the Town Meeting voted to authorize an additional line to service approximately a dozen homes on Hollis Street. Under an intermunicipal agreement, adopted in 1987, the Town of Groton purchased capacity at the Pepperell Wastewater Treatment Plant for disposal of sewage produced in the Groton Sewer District. 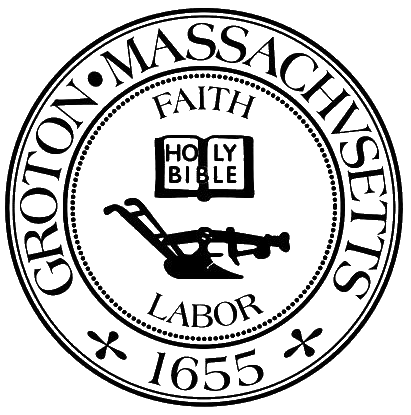 Groton contracts with the Town of Pepperell to provide operation and maintenance for the system, including (in 1997) two pump stations; force main; manholes, laterals, and interceptors. The first three-member Sewer Commission was elected at the 1993 annual election, succeeding the former Wastewater Committee, an appointed body that was formed to plan and coordinate the design and construction of the present-day sewer system. The first connection to the system was made in 1989. The Commission is served by a part-time hourly office assistant.